On April 26, members of the Ann Arbor Health Hacks community came together at MI-HQ to learn about developing biomedical technology from Dr. Eric G. Meyer and Dr. Mansoon Nasir, assistant professors in the Biomedical Engineering program at Lawrence Technological University, where their work focuses on prototyping and entrepreneurship. The interactive session started with an introduction to Lawrence Tech and the Biomedical Engineering curriculum. Drs. Meyer and Nasir talked about past capstone projects, which are structured as a consulting engagement for a student team with an individual facing a challenge. For example, one team looked at a knee stroller for a person who suffered a foot injury and could not put weight on the foot. Problems identified were that the stroller was extremely heavy, unstable and unwieldy, not easily fitting into the backseat or trunk of a car. Drs. 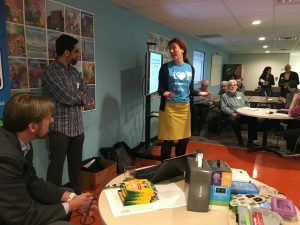 Meyer and Nasir then handed out worksheets and asked attendees to pair up, introduce themselves and define three individual health-related problems per person. After 10 minutes of lively discussion, they introduced the theme of the Fourth Industrial Revolution and associated technologies from artificial intelligence, autonomous driving and drones to the Internet of Things and geolocation. Drs. Meyer and Nasir then asked teams to combine some of the identified problems with a technology to spawn new, radical solution concepts, fully practicing a “yes, and…” and “there are no bad ideas” mindset. The last phase was to select one of the concepts and refine it, identifying existing solutions and comparing what would be different about the proposed concept. Drs. Meyer and Nasir also brought an array of wearable technologies, including a Myo and an Epoc, as well as an early prototype of a CPR pressure monitoring device. 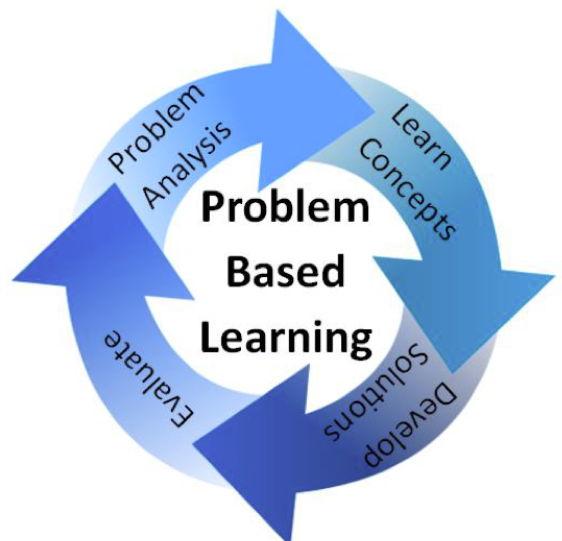 Identify an unsolved problem and define it. Learn to spot inefficiencies in your daily life and work. Combine a list of problems with a list of new technologies without immediately filtering for usefulness or feasibility. Let your inner dreamer out. Research your most exciting concept and refine it. 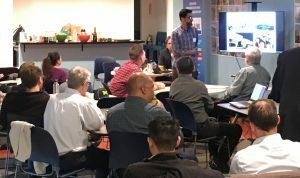 Participants stayed for snacks, a raffle and lively discussions and left with a renewed understanding of problem identification and rapid, iterative ideation—skills that will come in handy for the annual A2H2 Hackathon June 22 to 24.